WSWO (Water Ski Wakeboard Ontario) Trained and Certified. Owner, Operator and Maybe Even Your Driver! Could there be a more well suited man to bring you and your loved ones the ultimate in Extreme Off Road Adventures?! Mr. Bourbonnais was the first man to fly a hang glider from the tallest freestanding man made structure in the world (Toronto’s C.N. Tower in 1988). 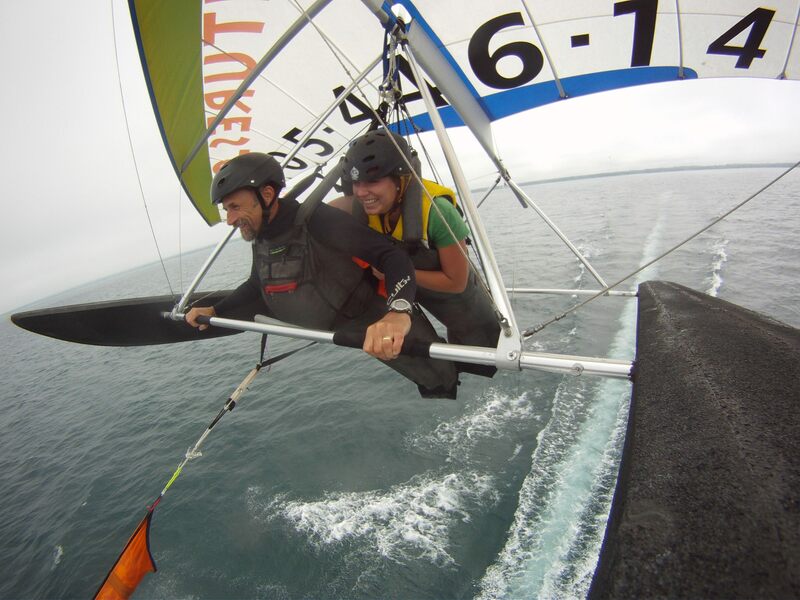 He was the Canadian National Champion for Hang Gliding in 1985 and 1988 and represented Canada in two world meets; Australia 1988, Switzerland 1989. Mark is a passionate and avid adventure seeker now focusing on his love for kite boarding (PASA Certified Kite Boarding Instructor), snowboarding and serving as a guide and tour driver. He displaying his exceptional driving record with over 30 years of professional driving experience! Yes. You must be 16 years old to drive the Jet Skis but a passenger may be younger. 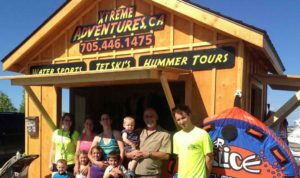 Our Watersport Tours and Rentals operate from Cranberry Yacht Club in Collingwood. Winter and Hummer Adventures are operated out of Blue Mountain; pick up is at the main village entrance. "This was the best day of my life. Better than Disney, the waterpark & the gondola"
"On Saturday May 16, we took a tour with you (Mark, Michele, Nicole and Alana). I wanted to send you a quick note to let you know how much we enjoyed ourselves. The girls have not stopped talking about it and the video is making the rounds through 2 schools right now. There are very few things we've enjoyed as much in the Blue Mountain area. Outstanding!! Thanks very much...we look forward to doing it again before the summer is out." Insanely awesome. Very experienced driver. Better than a roller coaster. It was a far better Hummer tour than we did in the Falkland Islands. Way better than the Dubia Desert Safari! Amazing Experience! Kudos for an amazing time. It was the most awesome thing I’ve ever done.